Enolsoft PDF Toolset is an ultimate yet powerful PDF document toolkit that allows you to compress entire PDF file into smaller size file, split one big PDF file into smaller ones, merge multiple PDF files into one, extract images out of the PDF, or extract text out of the PDF file. 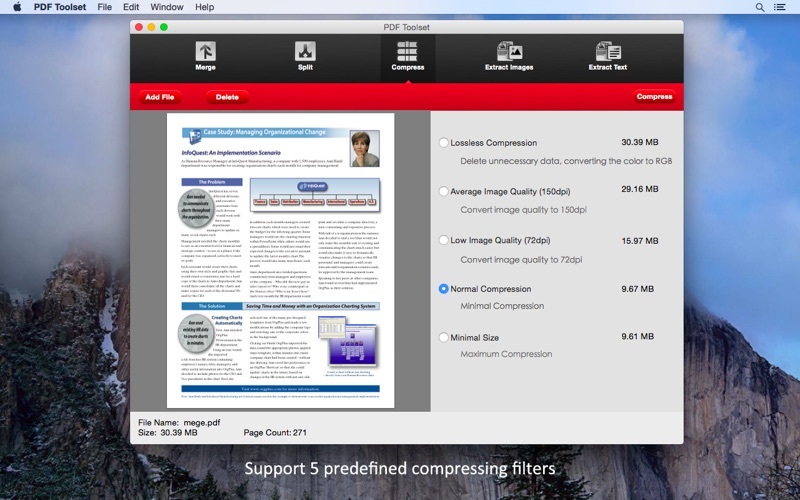 - Compress your large PDF files with 5 predefined compressing filters choose from. - Easy split PDF documents into several ones as your needs. 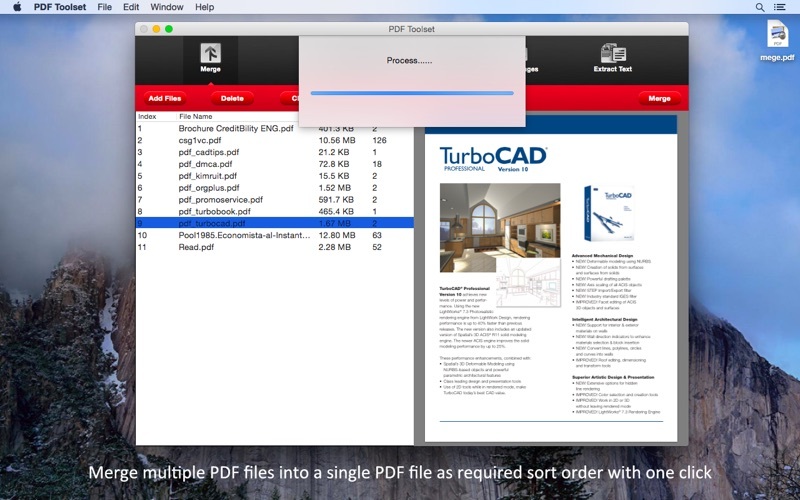 - Quickly merge multiple PDF files into one file as required sort order. - Extract specified pages or remove the unwanted pages out from a big PDF file quickly and easily. 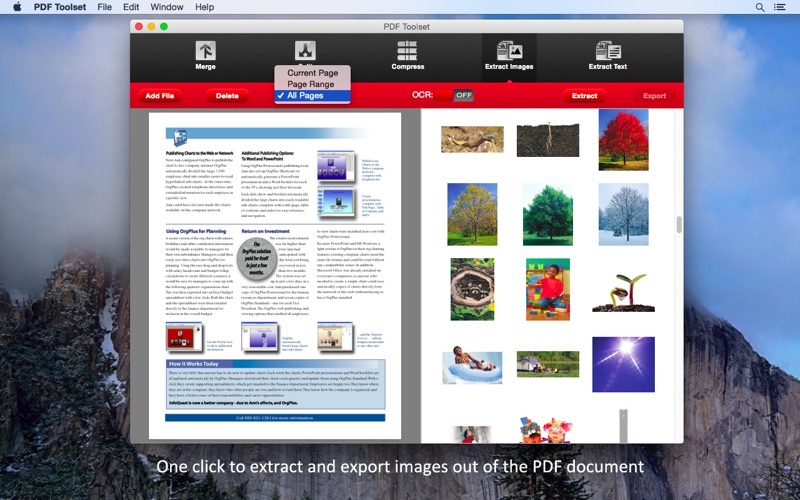 - One click to quickly extract and export the images out of the normal or scanned PDF document. 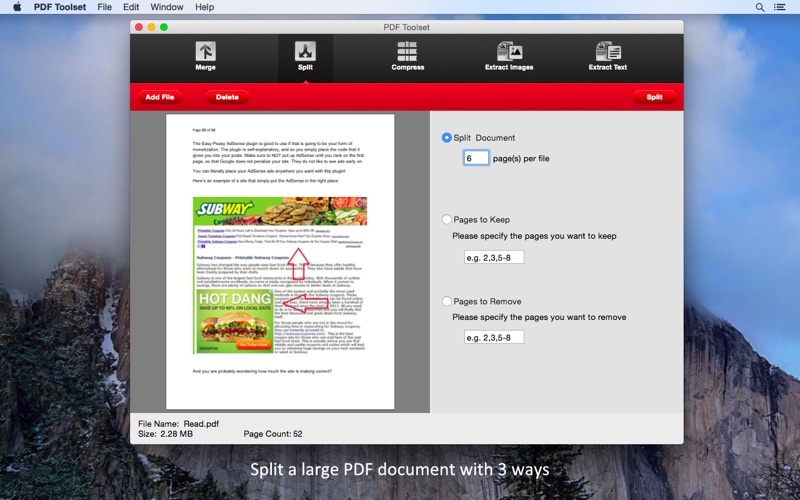 - Extract text out of normal PDF document or scanned PDF document. - Recognize over 48 languages, including: English, French, Italian, German, Russian, Czech, Turkish, Portuguese, Polish, Romanian, Ukrainian, Greek, Croatian, Bulgarian etc. - Support extract text out of scanned PDF file that composed in multiple languages. - You could manipulate password protected PDF files too. 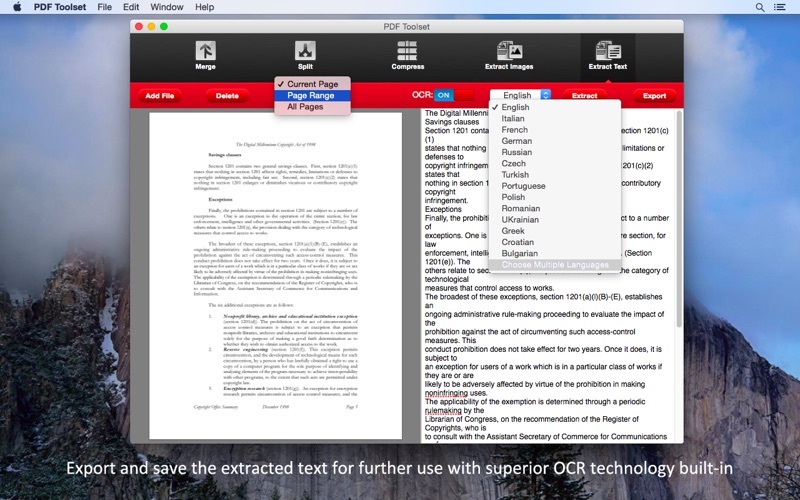 - You should turn on the "OCR" button when handle with scanned PDF documents. - Fully compatible with OS X Yosemite(10.10)! 2. Display mode changed into Single-page display.